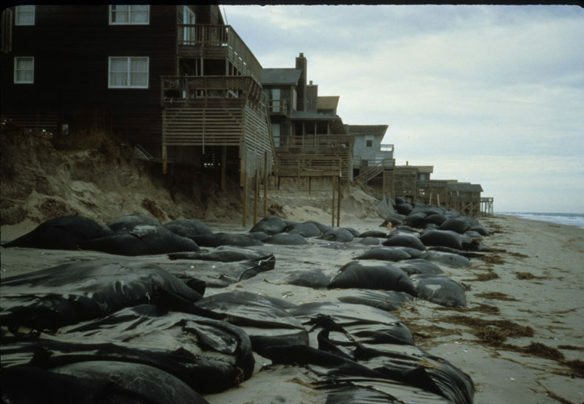 Sandbagged, trashed beach at South Nags Head, N.C. in February 1987, with some evidence of bags that have been torn or ruptured and have leaked sand. The scarp under the houses indicates that storm waves are topping the bags, and buildings were damaged or lost in the end. Captions and Photo courtesy of: © Orrin Pilkey.